Your choice of one of the CH exclusive designs on a hat. Please choose one of the designs below to have printed on your hat. Design Choice My Guardian Angel Loves Rock'N'Roll A Creepy mind is a terrible thing to waste Dragon Keeper Faery Keeper my gargoyle's watching you you don't know jack! I'll Sic My Genie on You! Superfly my kiss bites! These hats are great! They're nice and sturdy, and the different design options let you get just what you want. These hats are great! High quality workmanship gives you peace of mind that your CH treasure will last a very long time. 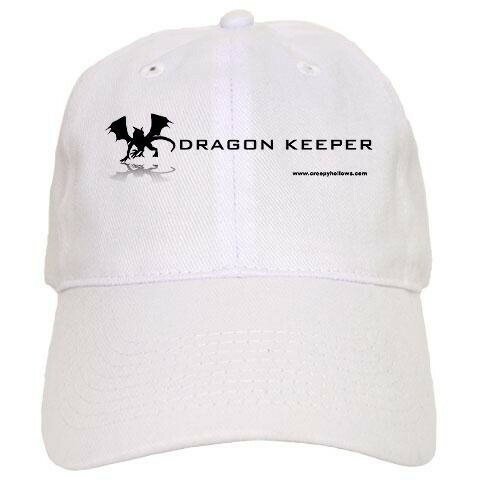 Advantages: The hats are high quality ensuring a long life. Love this hat! Excellent quality and a very 'specialized and unique' addition to my other 'accessories'!! Advantages: I actually use baseball caps to hold my hair back and since I live in a desert region it also helps shade my face. This is a fun way to do that!